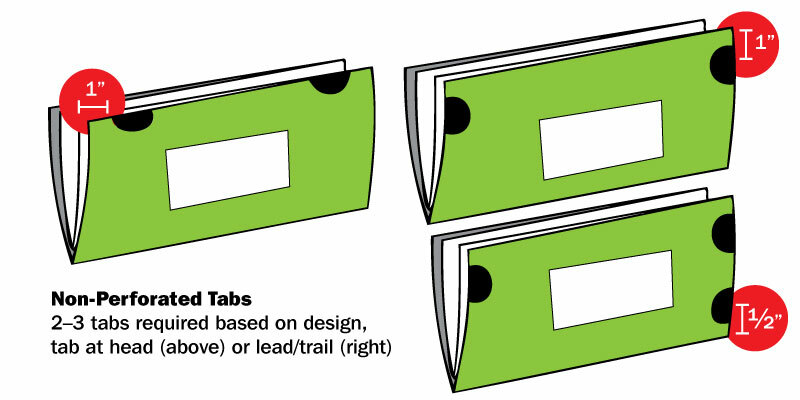 Once folded, the solid (folded) edge must be at the bottom. The post office implemented changes for tabbing requirements on self-mailers. Open edges at the bottom of the mailing panel are now prohibited. The opening needs to be at the top when looking at the mailing panel where the indicia/stamp and return address are. If your piece is designed with an open edge at the bottom, it must be inserted into an envelope.